Wadekar's management skills extended to helping his teammates with things which were otherwise not strictly part of his job description. Ajit Wadekar is no more and I am finding it very difficult to accept this reality. I still feel as if he would walk towards me in the auditorium with his languid gait and smile “Kay re, too good programme re.” He was there just the other day with his wife Rekha enjoying the musical concert I had organised. And now he is gone. Life is very transitory. I grew up in Shivaji Park, then the cradle of Mumbai cricket. I can still see myself as a school boy, in shorts, watching him from the steps of the Shivaji Park Gymkhana, stubbing his cigarette and walking lazily to the wicket. His style was mesmerising. The other day, Vasu Paranjpe, ex Mumbai player and as witty as ever, remarked, “We always wondered when he will reach the crease! He took the leg stump stance only because every one does that. And then from the word go he would attack.” During a typical Kanga League match, his square cut would literally scorch the thick grass of Shivaji Park. He was my first god of cricket and always remained at the top of the list. Later, we developed a player-journalist relationship which culminated into a thick friendship. I could call him Ajit if not Jitya as he was called by his university friends. Even our families came closer. It is destiny that Sunil Gavaskar, who blossomed under Ajit, should have been there when he breathed his last. He desperately massaged his body in trying to revive him, shouting “Come on captain, Come on”. But the captain had begun his final journey, leaving his teammates with a sombre dressing room. The charismatic Salim Durrani doesn’t tire of telling me this anecdote. 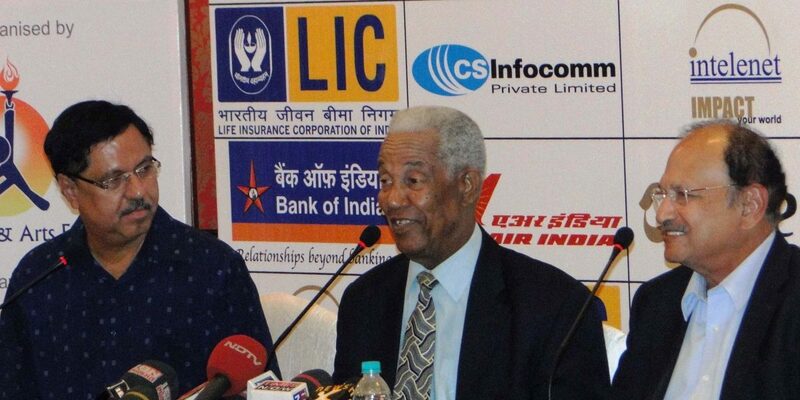 In the Port of Spain Test match in 1971, Salim requested Ajit to give him a chance to bowl when Clive Lloyd walked in. Ajit had observed a rough patch outside the left-handers off stump and obliged Salim immediately. Salim wanted Ajit in his customary position at first slip. Ajit told him, “Nothing doing, I am standing at short midwicket.” A ball later Ajit got a catch which he gleefully accepted. Salim took the great Garry Sobers’ wicket too and India ultimately won the Test match. Would you call this luck or tactical acumen? The most important aspect of his captaincy was people management. There were many seniors in his team like M.L. Jaisimha, Salim, Prasanna, Bishan Singh Bedi and Farokh Engineer but he handled them judiciously. 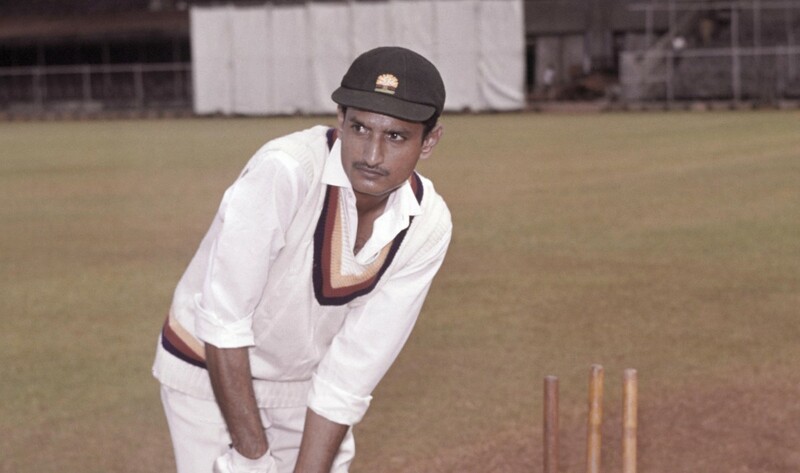 Tiger Pataudi, a former captain, played under Ajit in the 1973 home series against England. In those days, except the captain, other players had to share a room, but Ajit ensured that Tiger, being a former captain, got a single room. He was a father figure to Kambli and yet a close friend too, notwithstanding the huge generation gap between them. Kambli could call him Jitya but at the same time he was very firm when it came to discipline. Once, on that 1993 Sri Lanka tour, Ajit and I returned from dinner when I saw Kambli crying in the Taj Samudra foyer. I asked Kambli the reason and he mumbled “I want my girlfriend here, I can’t live without her.” I looked at Ajit. Ignoring Kambli, Ajit looked at me and said, “As per our code of conduct, we are not allowing the wives of players in the same hotel.” Kambli said, “Ask sir how come Kapil’s wife is here!” I looked at Ajit again and he responded calmly, “Kapil has played 125 Test matches. Let him play 25, I will allow him to bring his girlfriend.” This was how Ajit convinced Kambli to put cricket as the priority. Wadekar’s management skills extended to helping his team mates with things which were otherwise not strictly part of his job description. For instance as a coach he would take pains to sit with Tendulkar and Kambli over lunch or dinner and teach them how to delicately break and eat crabs with the help of culinary instruments. He would hold a competition between the two on who eats crabs faster. At the end of the meal there would be a mountain of crab shells. This was also his way of motivating them as a coach. Sachin Tendulkar was also extremely friendly with Ajit, contrary to his nature. Ajit told me a very interesting anecdote about him. Once Sachin got out to a rash stroke and when he returned Ajit asked him, “Why did you get out?” Sachin in his friendly gesture retorted, “As if you never got out!” Sachin wouldn’t have said this to any of his other coaches, but he could treat Ajit as a friend. Both Kambli and Tendulkar could not control their emotions while paying their final tributes and broke down at the sight of a still “Ajit Sir”. I never thought Ajit’s fears would come true so soon. His colleagues in heaven wanted their captain. Sadly, we lost ours. I was among the crowds on the Bombay roads in 1971 when Ajit Wadekar and his team were accorded a grand welcome following the series victory over England. That motorcade is vivid in my memory. I was part of the crowd again when his mortal remains were first taken to Shivaji Park and then to the crematorium. It is hard to accept that Ajit Wadekar is no more. Dwarkanath Sanzgiri is an award-winning cricket and travel writer based in Mumbai. He has covered all the World Cups beginning 1983. His columns appear in Saamna and Loksatta. He is a cricket expert on ABP Mazha.